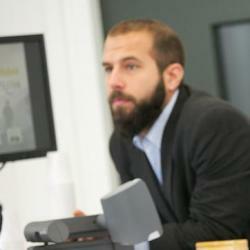 Antonios Tzanakopoulos is Lecturer in International Law at UCL Laws and the University of Glasgow. On Monday, the International Court of Justice delivered its judgment in the curious case between ‘the former Yugoslav Republic of Macedonia’ (hereinafter: ‘fYR Macedonia’) and the ‘Hellenic Republic’ (hereinafter: ‘Greece’). In this case, fYR Macedonia (appearing before the ICJ for the first time) complained that Greece, in objecting to fYR Macedonia being invited to join NATO in 2008, had violated its obligation under the Interim Accord of 13 September 1995 ‘not to object’ to fYR Macedonia joining any international organizations, as long as it applied under its ‘provisional designation’ provided for in Security Council Resolution 817 (1993). The judgment brings up many interesting questions. Apart from matters of jurisdiction and admissibility, perhaps the most interesting issues in the Court’s judgment are (i) its approach to treaty conflicts; (ii) the relationship between the grounds for termination of treaties under the law of treaties and defences available under the law of state responsibility; and (iii) its elucidation of the obligation to negotiate in good faith. Some of these points are taken up after a brief introduction to the dispute. The background to the case before the ICJ is a much older, long-running dispute between the two States as to fYR Macedonia’s name. It is a dispute in which national(istic) sentiment runs high on both sides, and this has caused it to be blown out of all proportion and to have lingered for way too long. ‘Macedonia’ is the name of a historical and geographical region that extends mainly between Greece, Bulgaria, and fYR Macedonia (the precise percentages, if there can be such a thing, depend on who you ask—historical Macedonia was never precisely delimited, as one would no doubt expect). It is also the name of an administrative region in northern Greece, and it was the name of a constituent republic of the Socialist Federal Republic of Yugoslavia, which, upon the SFRY’s dissolution, hoped to continue using the name it had as a constituent entity. Greece took exception to the use of the name of one of its administrative regions and the irredentist claims made in the fYR Macedonian constitution and by the fYR Macedonian authorities in an attempt to galvanize national solidarity in the midst of a civil war. It responded with several forceful (if non-forcible) measures on the international level, blocking the small country’s accession to international organizations and imposing economic sanctions (for more details see here). Attempts were made to normalize the relationship between the two States in the autumn of 1995, with the adoption of an Interim Accord. The 1995 Interim Accord, besides its unique language (it refers to Greece and fYR Macedonia as the ‘party of the first part’ and the ‘party of second part’ respectively, following which the Court refers to the two States as the ‘respondent’ and ‘applicant’ throughout the judgment), established a number of obligations for the two States: fYR Macedonia had to cease using a symbol that Greece considered part of its cultural patrimony, for example, and undertook that nothing in its constitution could be interpreted as an irredentist claim (Arts 7(2) and 6); both parties had to cease any propaganda, etc, and to negotiate in good faith as to fYR Macedonia’s definitive name (Arts 7(1) and 5(1)); and Greece, for its part, agreed not to object to fYR Macedonia’s applications to join international organizations, as long as the latter applied under the provisional designation stated in para 2 of Security Council Resolution 817 (1993), namely as ‘the former Yugoslav Republic of Macedonia’ (Art 11(1)). The ‘artist formerly known as Prince’, who also changed his name in 1993, did not bother commenting on this development—as an aside it is worth noting that Prince did resolve the issues with himself about his name in 2000. It is this last provision that led to fYR Macedonia’s application to the ICJ. fYR Macedonia had been hoping to be invited to accede to NATO during the 2008 Bucharest Summit—under its provisional designation (fYR Macedonia) as envisaged in the Interim Accord, just as it had joined a number of other international organizations previously. Such invitation was not extended, however, and fYR Macedonia accused Greece of objecting to its accession to NATO. It filed an application with the ICJ, alleging that Greece had violated its obligation not to object under Art 11(1) of the Interim Accord, given that fYR Macedonia had sought to accede to NATO under its provisional designation. The question of the Court’s jurisdiction seemed quite straightforward at the outset, rather despite the parties’ convoluted drafting of the relevant clause: under Art 21(2) of the Interim Accord ‘[a]ny difference that arises between the Parties concerning the interpretation or implementation of [the] Interim Accord may be submitted by either of them to the International Court of Justice, except for the difference referred to in Article 5, paragraph 1’ (=the difference described in [Security Council Resolution 845 (1993)] and in Security Council Resolution 817 (1993)) (=the difference over the name of the State [provisionally designated as ‘the former Yugoslav Republic of Macedonia’]). Greece did however raise objections as to the Court’s jurisdiction and the admissibility of the case, although it chose to do so along with the merits. The jurisdictional objection maintained that the dispute before the Court concerned the difference over the name of fYR Macedonia within the meaning of Art 5(1) of the Interim Accord, and was thus excluded from the Court’s jurisdiction. This was based on a rather broad reading of the relevant provision, which the Court did not accept (paras 34 et seq). It interpreted Art 5(1) narrowly, as referring only to the difference about the ‘definitive name’ of the State, whereas Art 11(1) referred not to the ‘definitive name’ issue, but rather imposed an obligation on Greece not to object to fYR Macedonia’s admission to international organizations as long as the latter applied under the provisional designation. Greece further argued that the conduct complained of on the part of fYR Macedonia was conduct attributable to NATO (or its member States) rather than Greece. This was based on the fact that under the North Atlantic Treaty, NATO members ‘may, by unanimous agreement, invite…’ (Art 10). So the decision not to extend an invitation was a collective decision by NATO members in their function as a NATO organ, rather than conduct attributable to Greece. The Court found that the conduct complained of was not the decision of NATO not to invite fYR Macedonia, but rather the conduct of Greek organs in the run-up to the Bucharest Summit. Similarly, the Court rejected a Greek Monetary Gold-type objection that any decision would involve deciding on the responsibility of NATO and/or its member States, who were indispensable third parties but outside the jurisdiction of the Court. Finding that Greece had violated its obligations under a bilateral treaty through actions attributable to it would not in any way involve the position of NATO or of any of its member States (para 43). The most potent objection raised by Greece was one of mootness, along the lines of Northern Cameroons. Greece argued that the (real) objective of fYR Macedonia was to reverse the NATO decision and get itself invited to join; but even if the Court did find a violation on the part of Greece, this could not have any effect on the NATO decision. The NATO decision in Bucharest was that an invitation ‘will be extended as soon as a mutually acceptable solution to the name issue has been reached’ (Bucharest Summit Declaration at para 20). As such, any decision of the Court on the merits of the dispute would be devoid on any practical application: there was nothing that Greece could be made to do to change NATO’s decision. The Court was thus invited to preserve the integrity of its judicial function and to refuse to exercise jurisdiction in the instance. fYR Macedonia on the other hand claimed that Greece was misrepresenting the object of the application before the Court. The Court distinguished between Northern Cameroons and the case at hand; in Northern Cameroons, the application related to a treaty that had already been terminated by the time the Court got around to deciding the relevant case—by contrast the Interim Agreement was still in force and fYR Macedonia’s NATO application remained in place. Hence the decision of the Court would be of continuing applicability, as the Interim Accord could be interpreted and applied in the future in accordance with the Court’s decision (para 51); fYR Macedonia was seeking a declaratory judgment that Greece had violated its obligations, and not a reversal of NATO’s decision (paras 49-50). However, as Judge Xue noted in her dissent (under II ‘Judicial Propriety’) ‘[f]rom the proceedings, it is evident that [fYR Macedonia]’s major concern relates to NATO’s decision of “no settlement, no invitation” … the Court’s declaratory Judgment is apparently intended to eschew [a reversal of NATO’s decision].’ This further becomes clear in fYR Macedonia’s remedies prayer: it asks the Court to declare a violation of Art 11(1) on the part of Greece, but also ‘to order that the Respondent immediately take all necessary steps to comply with its obligation [under Art 11(1)], and to cease and desist from objecting in any way, whether directly or indirectly, to the Applicant’s membership of the North Atlantic Treaty Organization and/or of any other “international, multilateral and regional organizations and institutions” of which the Respondent is a member …’ (emphasis added). Indeed there is little doubt that fYR Macedonia would like to be admitted to NATO, and that (at least) part of the motivation for its application was a hope to bring about the reversal of the NATO decision. There is even less doubt that this could not be the outcome of the proceedings before the Court, but also that this could not even be precipitated by the Court ordering specific conduct on the part of Greece: the decision is one of NATO, and can only be taken in accordance with the constitutional provisions in that Organization. The Court seems cognizant of this when it rejects the second prayer of relief by fYR Macedonia (see section V, below). Moreover, NATO has responded to the Court’s Judgment by confirming the Bucharest Summit decision (see section V, below). However, the Court’s decision does maintain (formally) the possibility of future practical application, and thus the Court was right not to refuse to exercise jurisdiction: it is possible, with the Interim Accord still in force, that fYR Macedonia will apply to other international organizations under its provisional designation (as it has done, its accession negotiations with the EU currently pending), or that NATO for some reason will undertake a reconsideration of its position on fYR Macedonian membership (which however it does note seem intent on doing, at the moment). In such a case, the decision of the Court as to the interpretation of the Greek obligation ‘not to object’ would claim practical application. Jurisdictional and admissibility issues aside, the question remained whether Greece had actually violated the 1995 Interim Accord. In accordance with Art 11(1) of the latter, Greece was under an obligation ‘not to object’ to fYR Macedonia’s application to or membership in an international organization, unless the latter was to be referred in the organization by a name other than its ‘provisional designation’. First of all, and theoretically, Greece could have easily hidden behind the ‘institutional veil’ of NATO: given that decision to invite new members is to be taken unanimously, and given that there is no open voting, there need not have been any identifiable conduct attributable to Greece. Whether Greece had lobbied other members one way or another would be extremely hard to prove for lack of any public statements or acts clearly attributable to Greece and demonstrating its objection. And yet the argument that it did not object to fYR Macedonia’s invitation was by and large foreclosed to Greece, as—in the heated political climate obtaining between the two States—it had made sure to advertise left, right, and centre that it had ‘vetoed’ fYR Macedonia’s accession to NATO, and at the highest level of Government at that. Public statements by the Prime Minister, the Foreign Minister, and others, as well as letters sent by the Permanent Mission of Greece to the members of the Security Council were submitted to the Court as evidence of Greek conduct in violation of the obligation not to object (see paras 73 seq). So one thing was rather clear at the outset: Greece had indeed objected to fYR Macedonia’s accession, and it was irrelevant whether and to what extent that objection caused fYR Macedonia not to be invited (cf para 70). One possible argument, to some extent pursued by Greece, was that Art 11(1) allows Greece to object to the admission of fYR Macedonia to an international organization on grounds unrelated to the difference over the name, ie because the latter does not fulfil the relevant admission criteria (in the case of NATO stipulated in Art 10 in conjunction with Art 2 of the North Atlantic Treaty). The Court did not need to decide whether that was the case, as Greece ‘did not take the position that any objection by it at the Bucharest Summit was based on grounds unrelated to the difference over the name’ (para 71). What Greece did try to argue was that it did not really ‘object’ but rather it ‘expressed its views’ on whether fYR Macedonia fulfilled NATO’s eligibility requirements. But the Court would have none of it: ‘The record makes abundantly clear that the Respondent went beyond such observations to oppose the Applicant’s admission to NATO on the ground that the difference over the name had not been resolved’ (para 82, emphasis added). Greece further pursued this line of argument in another incarnation by claiming it was subject to a duty, under the North Atlantic Treaty, to ‘raise its concerns if it believes that an applicant does not fulfill the organization’s criteria’ (para 107). Under Art 22 of the Interim Accord, the latter ‘does not infringe on the rights and duties resulting from bilateral or multilateral agreements already in force that the Parties have concluded with other States or international organizations’ (emphasis added). Indeed, it could be argued that evaluation by a member of an international organization of a prospective member’s fulfillment of admission criteria is a duty to the other members or to the organization itself: if members are under an obligation not to condition admission on criteria other than those in the organization’s constitution (and/or secondary law), then as a corollary they are also under an obligation to condition admission on criteria established in the constitution (and/or secondary law) (cf Conditions of Admission at 62-63 and 64-65; see also here with further references). The Court sought to establish whether the North Atlantic Treaty imposed on Greece a duty with which it could not comply without breaching its obligation not to object (para 110), but found that NATO’s constitutive instrument imposed no such duty. Effectively the Court sought to establish a genuine (ie irresolvable) conflict between Greek obligations under the North Atlantic Treaty and the Interim Accord: if there were such a conflict, Art 22 of the Interim Accord would have meant that Greece’s obligation under the North Atlantic Treaty prevail. The North Atlantic Treaty, however, merely allowed, according to the Court, a general ‘right’ to take a position on membership decisions, which Greece sought to convert into a ‘duty’ to exercise judgment (para 111). Given the comments above, as well as the fact that Art 22 also refers to ‘rights’ and not just ‘duties’, the Court’s interpretation may leave something to be desired in this case. It is interesting however that the Court seems to have taken the position that a right may not conflict with an obligation so as to allow operation of a clause subordinating the provisions of one agreement to the provisions of another. It thus adopted a strict approach to normative conflict, according to which there is only truly a conflict when an obligation from one source cannot be complied with without breaching an obligation from another source. This invites one to draw a parallel with the ECtHR Grand Chamber’s recent decision in Al-Jedda (at para 109). It is a point of general contention in the literature and it is the first time that the ICJ has taken a position as to the concept of irresolvable normative conflict, as far as I know (the situation in Lockerbie Provisional Measures was rather simpler and the Court’s position was not definitive due to the procedural posture). Greece invoked three ‘subsidiary defences’ for its violation of the obligation not to object: one under ‘general principles of international law’, one under the Vienna Convention on the Law of Treaties 1969 (which was directly applicable in this case), and one under the law of State responsibility. The first it labeled as an ‘exceptio non adimpleti contractus’. This would allow a State suffering a breach of a treaty commitment by another State to respond by unilaterally suspending its own corresponding obligations, and it would be conditional upon the synallagmatic nature of the obligations breached on either side (ie the relevant obligations would need to constitute a strictly reciprocal exchange) (para 115). This was arguably an attempt to free Greece from the much more stringent requirements attached to invoking the other two defences, namely Art 60 VCLT (material breach), and countermeasures. The Court did not address each defence separately, nor did it indicate the relationship between them, much to the disillusion of Judge Simma, who treated the matter in detail in a separate opinion that reads more like a brief academic study. Rather, the Court just grouped the defences together and identified ‘certain minimum conditions that are common to all three arguments’, namely (i) the existence of prior breach of the Interim Accord on the part of fYR Macedonia; and (ii) a connection between that breach and the objection of Greece to fYR Macedonia’s NATO accession in violation of Art 11(1) of the Interim Accord (para 123). The Court went on to reject almost all Greek allegations of breach of the Interim Accord on the part of fYR Macedonia, offering in the process an interesting summary of the content of the obligation to negotiate in good faith (para 132). It only acknowledged a breach of Art 7(2) of the Interim Accord (the use of a prohibited symbol) which had taken place four years prior to the Bucharest Summit and which had ceased almost immediately upon Greek protest (para 160). Further, the Court rejected the factual connection between that breach and the Greek reaction four years later. This led to the rejection of all three ‘subsidiary defences’, the Court in the meantime reserving its position as to the existence in international law of a defence of exceptio non adimpleti contractus (paras 161, 163, 164)—which Judge Simma laid to rest in his separate opinion. The Court granted the declaratory relief sought by fYR Macedonia, but refused to order Greece to refrain from any future conduct that violates its obligation not to object under the Interim Accord (para 168). This was because Greece’s good faith was to be presumed—there was no reason to suppose that a State will repeat conduct found to have been wrongful. The rejection of this specific remedy requested by fYR Macedonia very much relates to the question of mootness raised above. If fYR Macedonia’s objective—apart from declaratory relief as satisfaction—was in some way to use the Court’s decision in order to obtain a reversal of the NATO Bucharest Summit decision of ‘no settlement—no invitation’ (which it seems to have been, to a large extent), mere declaratory relief will do little to help its cause. The Foreign Minister of fYR Macedonia stated after the delivery of the Judgemnt that ‘[t]he decision of the Court marks a further step down the road to membership [in NATO and the EU]. Again, I look forward to Greece allowing our membership in NATO, in accordance with its obligations under international law, and with the support of the other NATO members’. However, NATO has also reacted to the Judgment, as stated above, its Secretary-General tersely noting that ‘[t]he ruling does not affect the decision taken by NATO Allies at the Bucharest summit in 2008. We agreed that an invitation will be extended to the former Yugoslav Republic of Macedonia as soon as a mutually acceptable solution to the name issue has been reached. This decision was reiterated at subsequent summit and ministerial meetings.’ Greece stated that it was reviewing the decision ‘with full respect for the International Court of Justice as the principal judicial organ of the United Nations’, but also focused on the Court’s refusal to order any specific conduct on the part of Greece. It remains to be seen whether the decision of the Court will help along the way of a final settlement of the wider, bizarre and sorry, dispute between the two neighbours as to the name of one of them, or whether it will lead to a hardening of positions, intransigency, and further nationalistic outbursts, to which both have succumbed more often than not. One would hope that the two States will focus on more important matters for the benefit of their people, and that the Court’s decision will go some way towards convincing them to do so. The judgment does, in any event, make for some interesting academic reading. This is because the Greek Government, having handled its relations with its neighbour very poorly indeed, and having scored a number of own goals in the process, furnished its legal team with an almost impossibly tough set of facts. The team had to engage in creative legal argument, and—given the legal talent on both sides—this led to interesting points of law being raised and debated. This may just be the only positive side to this sad story so far. Many thanks to Dapo Akande for inviting me to comment on the decision and to Dapo and Christian Tams for helpful comments on the draft. Having studied the historical/political aspects of this dispute for many years, I very rarely enjoy reading about it anymore. But your comment was an exception. no one guessed the quarrel would last this long !